Four major U.S. companies — IBM, Lockheed Martin, Northrop Grumman and Lincoln Electric — are ready to expand their apprenticeship programs and poised to sign a memorandum of understanding (MOU) with the American Association of Community Colleges (AACC) and the U.S. Labor Department (DOL). 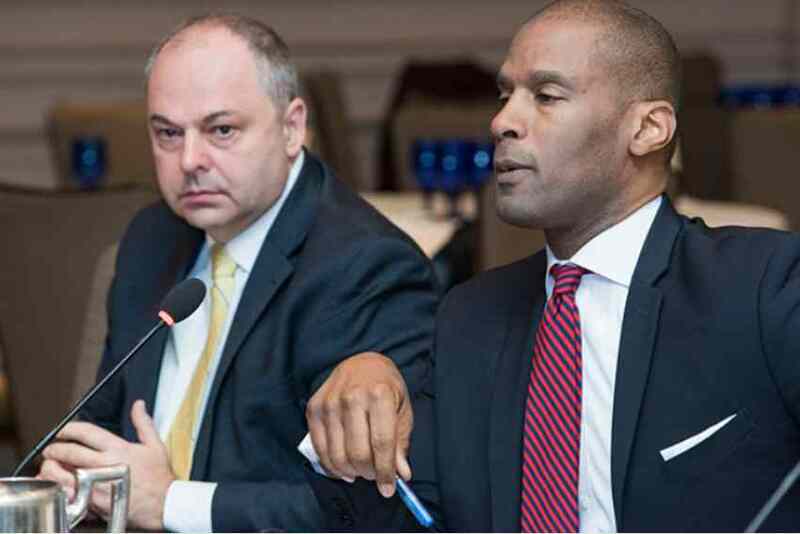 Officials from the four companies and DOL on Friday told the AACC board of directors during the association’s Fall Meeting in Arlington, Virginia, that they are eager to work closer with community colleges to grow their apprenticeship programs. Officials from IBM noted that “community colleges have been a great partner for us,” and the company would like to scale up its 100 apprenticeships and partnerships with 16 community colleges. Lockheed Martin officials added that “community colleges are a huge part” of the company’s plan to grow and diversify its talent pipeline. Lockheed Martin also wants to scale up its successful programs, especially those related to STEM. Apprenticeships are critical to closing the nation’s workforce skills gap in order to stay globally competitive, said Ondray Harris, a senior adviser in DOL’s Employment and Training Administration. There are 6.1 million jobs available in the U.S., and 7 million Americans looking for jobs, but there is a disconnect when it comes to skills required for those jobs, he said. Apprenticeships were also a focus during a House Education and the Workforce Committee hearing this week with Labor Secretary Alexander Acosta, who highlighted their importance — as well as community colleges — in developing a skilled workforce. The number of apprenticeships across the country has grown over the past five years, and there are some “shining examples,” Ladd said — such as the partnership between Harper College in Illinois and insurance companies Zurich and Aon — but those are few and far between. The department wants to add to the 323 community colleges that have registered apprenticeships, and it is also encouraging other, less formal apprenticeships and workforce development programs. “This really needs to go to scale,” Ladd told the AACC board. “We can’t do this without you.”In regards to the impending MOU with AACC, “It’s the absolute next step in the evolution of this partnership,” he said.